More Christmas commissions! I really love all the colors in this one and how it turned out! 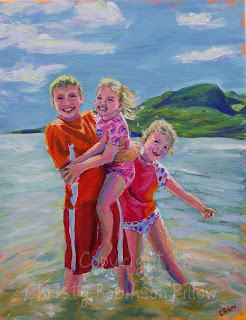 My neighbor-friend had this done of her children to give to her parents for Christmas. I think they'll love it!